Salt-glazed stoneware with polychrome enamels. Pear-shaped form with striated loop handle on side. Small spout with strainer holes in body. Acorn finial on cover. 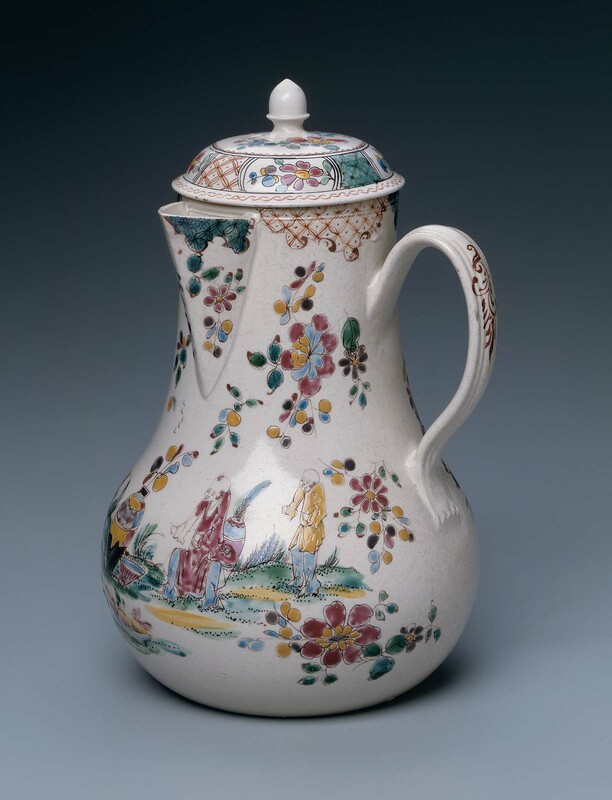 Chinoiserie scenes and floral sprays on body in green, blue, puce, and yellow enamels.